Hair loss is typically caused by excess dihydrotestosterone (DHT) in the body. (N.B. This is not the same as testosterone.) 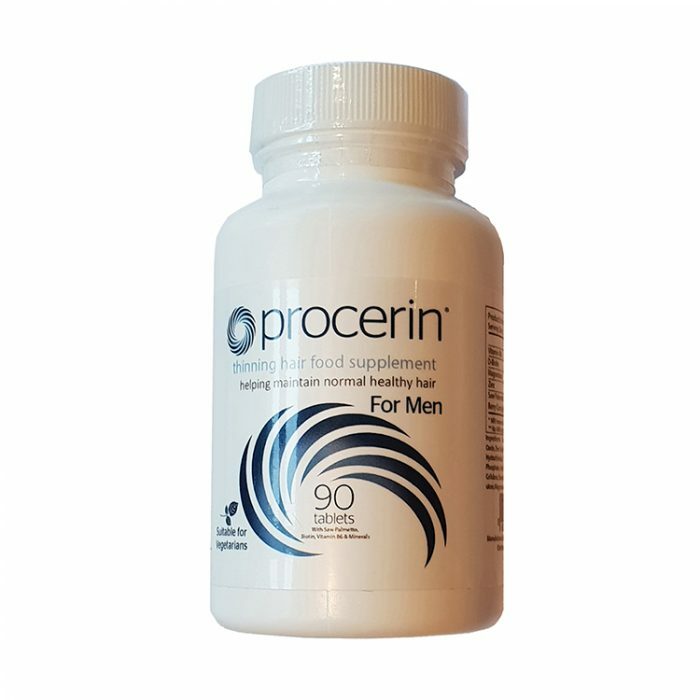 Procerin’s active ingredients target the specific enzyme that converts the male hormone testosterone into DHT, effectively halting the main cause of hair loss. In summary though, you support your hair follicles from the inside with the tablets while the topical solutions work externally. 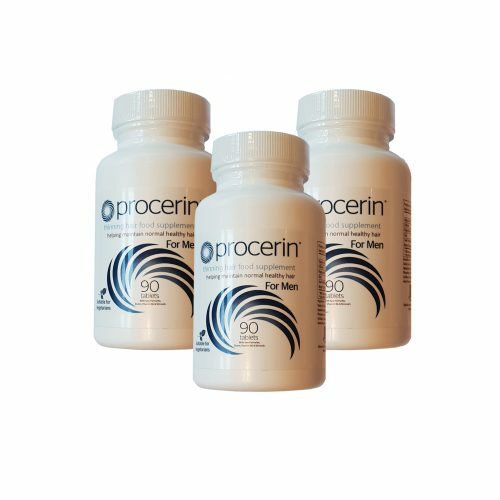 Procerin XT Topical Foam provides a potent blend of ingredients whose growth stimulating properties have been demonstrated in several independent US studies.